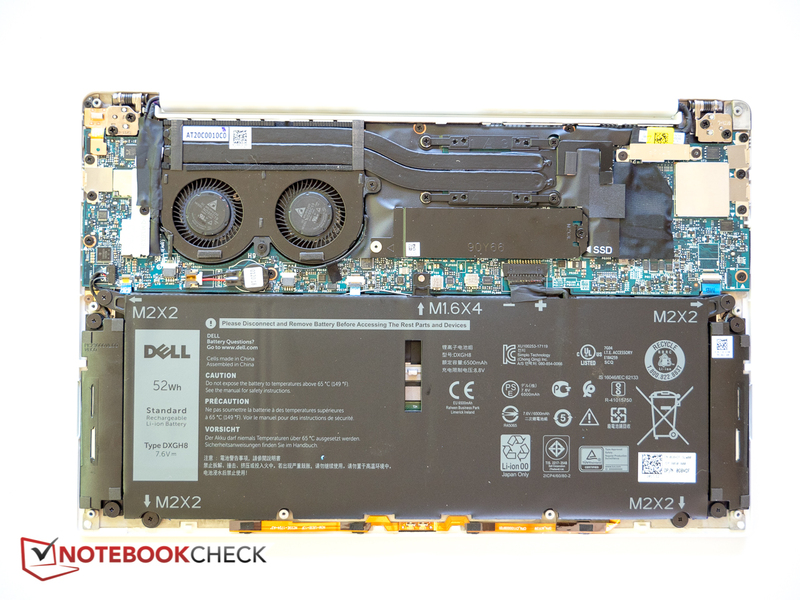 The best mainstream Ultrabook on the market? - While CPU temps have been measured, what about the bits on the laptop that we touch in regular use? I find that laptops of this style can have overly hot keyboards, palm rests and bases, and it would be useful to know how hot these get under light and heavy loads, e.g. word processing vs. video encoding. - What's the serviceability like? Which for machines of this type is typically quite limited for the average user. Useful things to know might be for example; does it use standard DIMMS, M.2 sticks, etc and how easily can they be accessed? Probably going a bit too far, but also how 'glued' or 'taped' down is the internal battery, screen bezel e.t.c? According to NBC the RAM is soldered. Thought as much, good to know. While the capability to upgrade would be nice, the starting 8GB for this application is reasonable. Also I see; properly reinforced ports, battery held down with screws and a modular SSD, nice. This article is really missing benchmarks of the previous model, which IMO is the most important laptop to compare to. I also hate how the review gushes over the new look and excuses the drawbacks. If I want a small laptop to carry around, thickness matters the least. Weight matters and size matters, and these are apparently unchanged, yet I now have to carry extra adapters if I want to use a flash drive or plug in a mouse. I like the XPS 13, I own one, and for me this is a step down. Had the slimmer XPS also been correspondingly lighter, I would have seen this as a compromise that may be worth it, but as is, it looks like a nod towards people who value looks over functionality (like the reviewer). agreed personally I think the last gen was a better machine. Perhaps, but it means that you're unable to use most things you already own, let alone get something pretty standard (a USB Flash drive) from another person and expect to use it. Yes, it's all solvable, just inconvenient and totally unnecessary, because it comes about because of a purely cosmetic reason. I mean, yes, you can also remove the headphone socket and remove everything but one thunderbolt port, and it would still be completely solvable, but what's the point? Don't get me wrong, I have nothing against USB-C, I just think that it's too early to drop USB-A. As I said, I'd even be willing to accept pure USB-C if the reduced thickness was accompanied by lower weight, but as is...? I realise this, but that doesn't mean I have to like it. If functionality is losing to flashy looks, that's not a way forward, IMO. Last edited by ET3D; 01-07-2018 at 02:23 PM. Why not compare with the latest 12" Macbook as well? I would assume it's a close competitor. "Dell has today announced Black Friday in July, a week of huge discounts across its consumer offering. The deals, which include desktops and laptops, will run in limited quantity between Monday 9th July and Tuesday 17th July 2018. "